A solution of the Macedonian name dispute seems to be within reach. An interview with Vladimir Gligorov conducted by Panayiotis Savvidis. What is your opinion on the recent developments regarding the name row between Athens and Skopje, after the meeting between Prime Minister Alexis Tsipras and Prime Minister Zoran Zaev in Davos? Do you think that a solution might finally be within reach? Gligorov: Yes, I think that the name issue can be resolved with some measure of political decency. Tsipras said that he and Zaev were the new type of modern politicians, which I take to mean that they want to look forward. 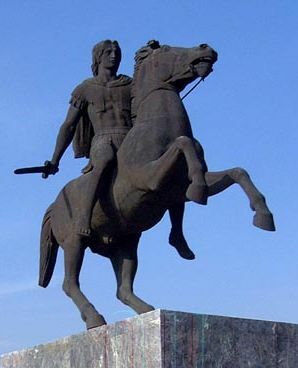 Fighting over Alexander the Great is embarrassing, so I think it is very positive that the Macedonian leader has taken himself and his country out of that. If the issue is how to facilitate the communication and cooperation of the two countries by agreeing on how to refer to each other, with some regard to politeness, this should not be a hard issue to solve. Athens reiterates its position in favour of a composite name for all uses (erga omnes). Is it easy or not for Zoran Zaev’s government to change the country's constitution? Gligorov: I assume that the Macedonian constitution will have to be revised for its own internal purposes and within the context of EU integration, so the issues raised by Greece can be addressed. I do not think that Greece should aim to legislate how Macedonians will refer to themselves or how other countries will choose to communicate with it and its people. A country needs to address legitimate concerns of other countries with responsibility and dignity. But one cannot legislate for another country. Over the past decades, was there any point that we can say it was the closest the two sides ever got to an overall agreement? Gligorov: Of course. I think Simitis and Papandreou had a very good approach to the issue. The atmosphere was almost as supportive of the reasonable solution as it has ever been. Papandreou worked for the solution within the context of EU integration of the Balkans and within the context of Greek leadership in that process. Then the nationalists came back in both countries. But the framework I think is still the same for the aspirations of both countries. Greece can have a significant regional role and prove to be the promoter of Europe in the Balkans, and Macedonia needs stable Balkans within the context of Europeanisation. At the time of Simitis’ government, the Greek public was much more relaxed about the Macedonian name issue than it was afterwards. So, one hopes that Tsipras is following in the footsteps of Papandreou. Greece argues that FYROM’s constitution still contains irredentist references towards Greek Macedonia and that there is an ‘irredentist ideology’ aimed at the ‘unification of the geographical Macedonian area’ presenting Macedonian territories in their neighbouring states as ‘occupied territories’ by Greece and Bulgaria. Your comment about these concerns? Gligorov: There is no evidence of either existing irredentism or support of irredentism from Macedonia. Certainly, no evidence of any kind of terrorism from across the border. These are historical references, but if assurances need to be made that there are not irredentist or territorial issues on the Macedonian side, those should certainly be made. I do not think that there is anything but intellectual embarrassment when one is fighting over the ownership of the past. But there are no territorial issues that Macedonia is raising or will raise towards its neighbours that I am aware of. It is probably better if Greece did not make all that much about its fears from irredentism, I think. Greek concerns are rising because of Nikola Gruevski’s ‘Skopje 2014 project’ and his attempts over the contemporary Macedonian ‘antiquisation’, claiming that the current Macedonian residents are descendants of ancient Macedonians. What is your opinion? Gligorov: That is embarrassing. Historians are free to argue whatever they want. The same goes for archaeologists and ethnologists or anthropologists or anybody else for that matter. As far as I can see, Macedonian national identity comes from the political will to be independent from Turkish occupation, free from authoritarianism between the two world wars, and from anti-fascism. Plus the language, which is a Slavic one. It is true that Macedonia is a very rich archaeological site and of great historical interest from the ancient times to the Ohrid religious and cultural role. But that is common history of humanity, like all history. Your father, back in 1992, said that ‘We are Macedonians but we are Slav Macedonians. That’s who we are! We have no connection to Alexander the Greek and his Macedonia’. This is what he also told me in 2009. What is your opinion? Gligorov: The same, as I already stated in the previous answer. It is anyway irrelevant. Who is not a descendant of Alexander the Great or Aristotle? I also have a very sceptical view of ethnicity as a concept and given that I do social science for a living, I feel I ought to state that. What is your opinion about Prime Minister Tsipras and Prime Minister Zaev? Gligorov: I see promise in both. I met Zaev and had a good feeling about him. I have not met Tsipras. But he has been acting responsibly under very difficult circumstances and I think he sees a role for Greece in the Balkans and Europe beyond its current unenviable position due to financial problems, and I think that is good. 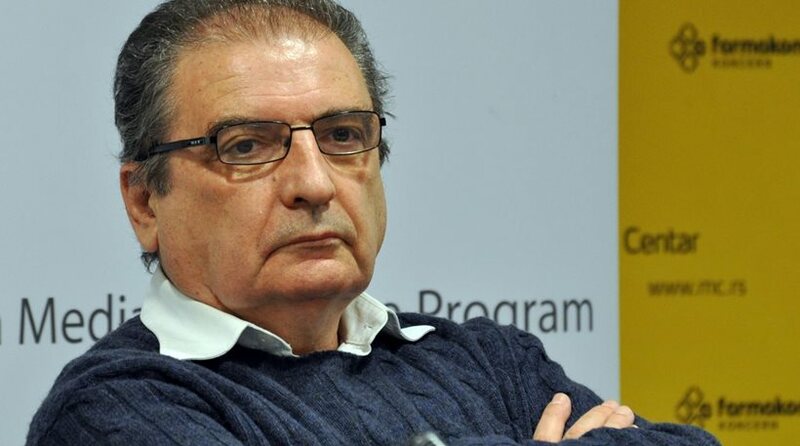 You were a founder of the Democratic Party in Serbia in December 1989. Are you interested in politics? Have you ever thought of returning to Skopje and engage in politics? Gligorov: I think that one has a civic duty to take a stand when significant political choices are to be made. I did that in 1968 in Yugoslavia and in 1989 in Belgrade. I worked as much as I could ahead of the 2003 Thessalonica Summit. But I have never been interested in politics as a profession. I am certainly not going to start now. As an economist, what is your opinion about Greece’s current situation, 8 years after the first economic adjustment programme? Gligorov: Greece has a history of problems with foreign creditors. There is a chance now to put the foreign debt and fiscal balances in order within the EU and the euro area. It should get easier as the economy recovers within the recovering EU economy. The enduring problem to my mind is limited exporting capacity outside of tourism. The Greek economy is a very closed one, in terms of exports to GDP, given its size. As long as that does not change, external and fiscal balances will be constraining, to say the least. Improved economic prospects for the Balkans will also help, which is why I think a positive regional strategy, political and economic, could prove very helpful. Have you ever been to Greece? Do you have any Greek friends? Gligorov: I have been to Greece numerous times. For the first time, if I remember correctly, in 1968. My mother liked going to Thessalonica to see the Beas Kule and to have dinner on the beach. Her father, my grandfather, was destined to spend 101 years as a Turkish prisoner in the Red Tower, but manged to be transferred to Anatolia and thus survived. I have had and still have many Greek colleagues and I think friends. I had good relations with George Papandreou, I think. The last time I was in Greece was as a speaker at the Delphi Forum a couple of years ago and then again in the same year I spoke at a conference in Thessalonica. The interview was first published on the Greek news platform Protothema.